Google Maps Directions from Nairn to the start of the course. 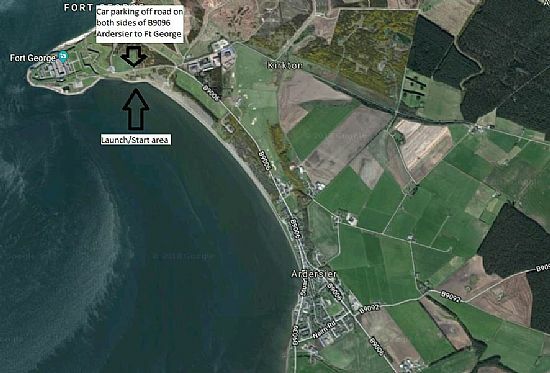 Parking at the start of the course is close to Fort Goerge as marked on the maps below. 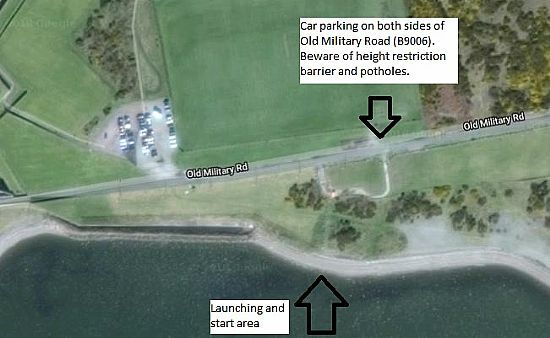 Please take care of boats if you are driving under the height restriction barrier and note that there are potholes and some of the ground is uneven.